A Disclosure & Barring Service (DBS) enhanced check is mandatory for all coaches taking an England Squash Level 1, 2 or 3 course and costs around £18. This is the highest level of check available to anyone involved in regularly caring for, training, supervising or being in sole charge of children or vulnerable adults. 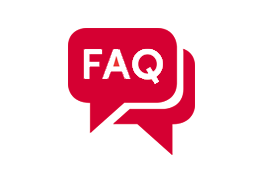 Check out our DBS FAQs for more info. Apply online at GBG Online Disclosures which takes around five minutes to complete. You'll need to provide details of the identifications you own including your National Insurance number, a valid driving license, passport or national ID card. In the first step, you'll need to provide the England Squash PIN which is 102179. In the second step, you'll be asked for the organisation's secret word which is Z4LQX. During the application process, you'll need to have your ID documents verified at the Post Office. Please follow the instructions on the GB Group website. Once the Post Office have verified your ID documents, the DBS search will commence. This can take up to 60 days, after which you will receive your DBS disclosure in the post. You'll then need to send this to us so we can update your record of achievement. Please refer to the application process e-guide which includes step-by-step instructions or email the Online Disclosures team at onlinedisclosures@gbgplc.com or call 0845 251 5000 (Monday-Friday 8.30am-5.30pm). Alternatively, check out our DBS FAQs or get in touch with our coaching team: coaching@englandsquash.com. Got a query about DBS? Find all the answers to your DBS queries here.